Want to guess how much time Mr. Frugalwoods and I spend “managing our money” every month? A whopping 30 minutes. 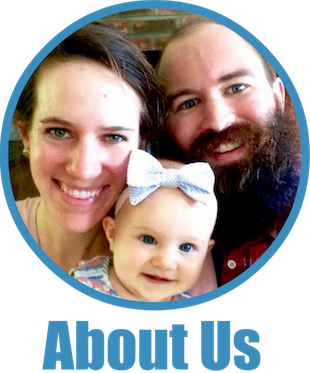 Yes, we are quintessential frugal weirdos and yes, we save over 70% of our income, and yes, we plan to quit our jobs at 33, and yes, we write this “personal finance” blog. But no, we don’t obsess over our finances. Why? There’s nothing to gain by micromanaging our money. Money is happiest as a loner. It wants to be left alone, with other money, to do its interest-earning thing. The less we mess with our money, the more of it we have. Folks often assume we employ a ton of time and energy managing our financial empire (hah), but part of the secret to our success is that we don’t. I think it would drive us nuts to constantly think about our accounts and fret over our funds. 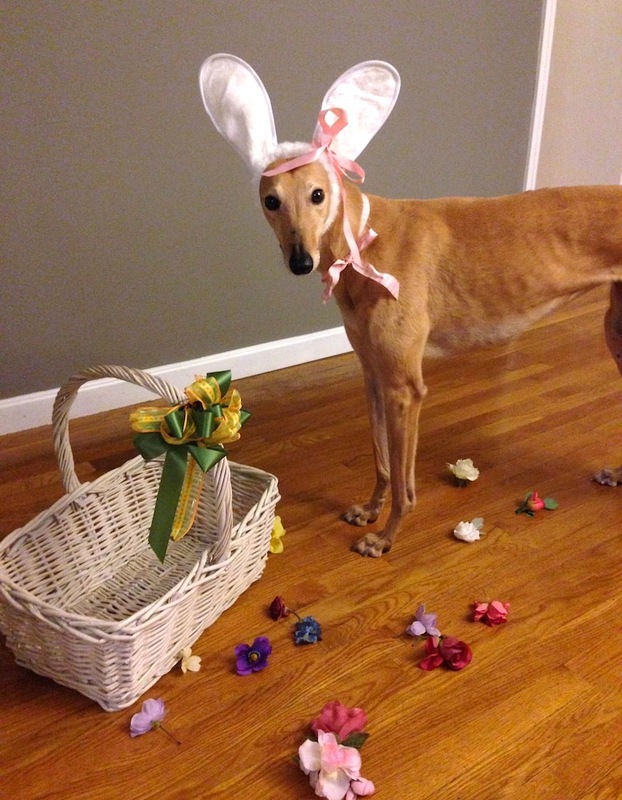 It would also serve about as much purpose as a greyhound dressed as a bunny rabbit (and is a lot less adorable). People ask what our “secret sauce” is for early retirement and how we have so much money saved up, and I hate to disappoint that the answer is pretty boring: we created a very simple, math-based system for managing our money and we monitor it regularly, but not fanatically. We don’t have “one weird trick” or some complicated algorithm underlying our fiscal procedures. I think it’s very easy to fall into the trap of this idea that the more you fiddle with your money, the better off it’ll be. But in reality, we’re better off setting it and forgetting it. View our credit card and checking accounts weekly to scan for fraudulent charges. Check our investments and 401Ks to ensure that the automated deposits we’ve set-up are operating correctly. Review all of our expenses once a month. And that’s it. We don’t constantly adjust our investment portfolio or buy and sell stocks or do bizarre things with credit cards or create complicated budgets with different buckets of money. In this same vein, our frugality is successful because we created frugal habits, which we routinely execute on frugal autopilot. We don’t innovate frugality every single day, we just follow the effective frugal lifestyle we’ve devised. While we do keep our eyes open for even greater frugality opportunities (such as this year’s Sodastream, coffee, and chest freezer discoveries), these are the result of seeing the world through a frugal lens, not of obsessively brainstorming new ways to save money. As efficiency optimizers, Mr. FW and I are all about anything that streamlines our processes. And this is why we like Personal Capital. Personal Capital consolidates all of our accounts into one place so we only need to log-in once to review our cash monies. Handy and efficient. We can quickly scan our expenses for the entire month, our 401Ks, checking account, investments, credit cards, spending transactions, and our mortgage. Personal Capital also displays our net worth, income, and portfolio allocations. The only thing it lacks? 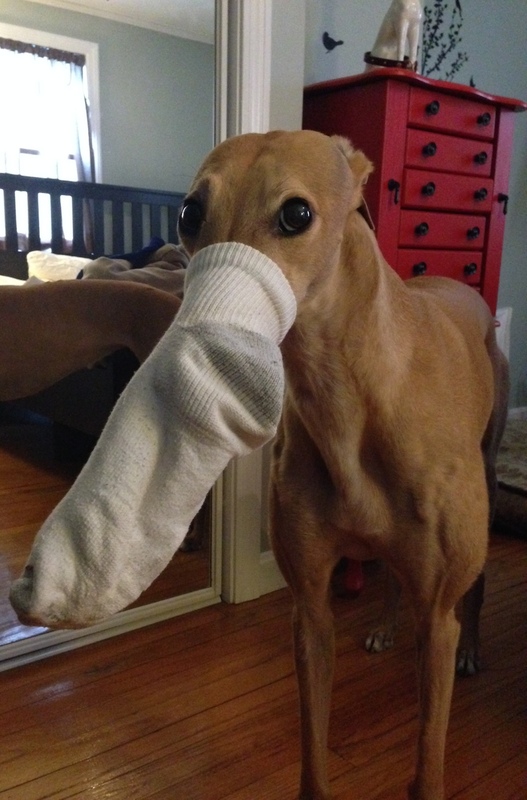 A greyhound photo-of-the-day. Maybe they’ll come out with that upgrade in 2016. Personal Capital also automatically categorizes our spending into graph format, which is a super quick way of seeing where we’re allocating the vast majority of our funds (usually groceries because we’re such ballers). Tracking expenses is, in my opinion, step #1 for creating a regimen of high savings. Without knowing where your money is actually going, it’s nearly impossible to set concrete savings or debt repayment goals. There’s also a fee analyzer on their site, which examines the actual funds in our portfolio and tells us what the expense ratio is on every fund. This projects the amount of money we’ll pay in fees over the course of our working years–an excellent piece of info to possess. Avoiding high fees is a crucial element of reaping the highest yield from our investments over our lifetime. Personal Capital’s retirement planner calculators are fabulous as well–they’ll tell you if your 401Ks are charging too much. And, it pulls from your data to provide real numbers on whether or not you’re on track for retirement. Plus, Personal Capital allows you to set your date of retirement really early, which is key for frugal weirdos. Most online retirement calculators only permit you to enter age 55 or older, but Personal Capital allows you to select for a younger age. And the very best part about Personal Capital? It’s free. If you’re interested in trying it out, you can sign-up here. Mr. FW says that if he were benevolent dictator of the world, he’d institute a waiting period on selling stocks. Much like buying a firearm, you’d have to enter a five-day waiting period before you’d be allowed to sell your stocks. This is because people panic, sell low, and then wonder why they’re not enjoying the average 7% return on their investments over the long-term. We have two portfolios of stocks: our taxable investment account and our 401Ks. Our taxable account is invested fully in the low-fee total market index fund (FSTVX). Our overall portfolio is weighted 90% total market index fund and 10% bonds, with the bonds being held in our 401Ks in order to maximize tax efficiency. Both of our 401Ks are in low-fee index funds as we’re staunch believers in avoiding fees whenever and wherever possible. Once a year, we spend 5 minutes rebalancing our portfolio to match our desired asset allocations. The most important aspect of managing stocks is to choose low-fee index funds, and then resist the urge to tweak, tinker, or otherwise do anything with them, other than funnel in more money. The only time we “follow the market” is when we accidentally hear the stock report on NPR’s Marketplace (sidenote: I do enjoy their sad trombone music for when the market is down, but that’s literally the extent of my day-to-day knowledge). The more complex you make your finances, the worse off you’ll be. Financial companies love creating a smoke-and-mirrors ambiance for their magical formulas to get you rich quick off their customized portfolios. But the truth is, there’s no way to consistently beat the market over the long-term (unless you’re Warren Buffett). We take a straightforward, uncomplicated approach and it works. We don’t pay anyone to manage our finances for us and you probably don’t need to either. The linchpin of our entire philosophy is that there’s nothing to gain from micromanaging your money or your frugality. Earn your money, don’t spend too much of it, and invest it. If you want an easy way to quickly check on your dollars every month, use Personal Capital and log-in occasionally to ensure nothing funky is going on. That’s it. At the end of the day, it takes a lot less time to save money than it does to spend it. Our society often equates being busy with being productive, and so we feel compelled to busily interfere with our money regularly, but in reality, there’s no need. Better to set it, forget it, and use all that saved time to go hiking instead. P.S. 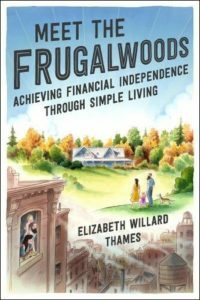 In case you’re wondering, Frugalwoods will receive some money from Personal Capital if you sign-up using one of the links in this post. But, it’s free for you to use and I wouldn’t recommend something that I don’t use myself. Frugal Hound thanks you if you do sign-up as she’s under the impression we’ll use that money to buy her more treats (and maybe we will… ). The reason you don’t see a single ad on Frugalwoods is because the vast majority of stuff companies want to pay us to sell to you is total crap and I refuse to promote crap in exchange for money (unless you’re in legit need of some manure). But on the rare occasion there’s a product that Mr. FW and I actually do use, believe in, and is relevant, I’ll tell you about it. What are your tricks for managing your money the simple, frugal way? I love that you’re ad free and promoting a free, very helpful product. I also really like the way you’ve described budgeting and spending–it’s exactly what we do but we weren’t sure what to call it. We gave up the once-monthly budget meetings when they weren’t saving us money and seemed like we were making up reasons to spend so we wouldn’t “go over” budget. 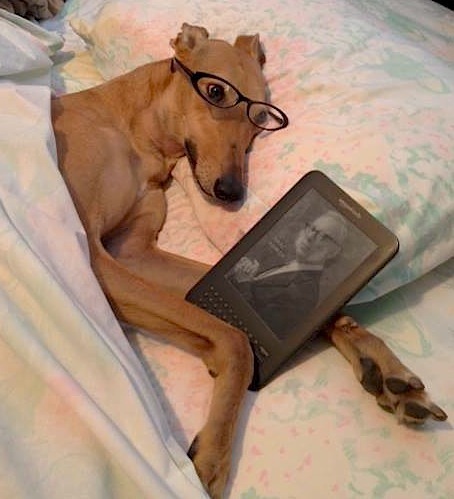 Lastly, I love the Frugalhound investment expert photo! hi Mrs. Frugalwoods, I am really enjoying your blog and learning a lot. Just out of curiosity- how do you make money through this blog if not for ads? best wishes, V.
Love this! It’s a beautiful thing when budgeting is mostly on autopilot. A couple of years ago, I would waste at least 30 minutes checking all my accounts every morning. And Personal Capital’s been a massive time saver for me, too! We track our spending, monitoring online accounts, and input totals in a spreadsheet (I’m a terrible millennial) once a month to see how we did. Obsessing over numbers is wasted time, in my opinion. It’d be much easier to find a side hustle or learn a new skill to try to be promoted than agonize over every penny. It’s great to see how you have managed to find an effortless way to do finances as a couple. I think this looks different to all couples, we check our budget and discuss finances as a couple on a weekly basis as a way to make sure we are on track and on the same page. Compare that to Marge and myself who have been tracking our expenses in Quicken since the beginning, over ten years ago, entering it all by hand. Because of this, I can go back to any period of time and compare our expenses. For example, I can tell that excluding all of the money we’ve spent on our new rental property, we will probably spend less total this year than any other year in the past decade. I like having control of my data and how it’s displayed, rather than leaving it up to the whims of some company. You could also say we do bizarre things with credit cards, but that’s a story for another day! I have to agree on investments, though. I think about asset allocation once or twice a year. Otherwise, it’s hands off! My wife and I are also Quicken trackers, entering it manually for about 10 years. It doesn’t take long to do, but actually entering the transactions makes it a lot easier to see problems and mistakes than just a quick scan of the information. We don’t waste time obsessing over the numbers, but we do invest a small amount of time in making sure that our money is going exactly where we want it to go, including checking asset allocation occasionally. Glad to see someone else is doing it “the hard way!” Back when I had no money (college) I used to reconcile every last cash dollar spent. Now if I lose track of some cash, I don’t fret. But I do reconcile my credit cards to the penny. If anything, it really makes you confront what you’re spending. Also, I’m not endorsing Quicken in any way. My software is from 2003! I can’t speak for their software today. I went through the whole budget, count the money phase. At the time, it did help because it showed us where we were spending and where we didn’t need to be. Now I have embraced more your approach. Try and spend as little as possible. We have been more successful cutting back on spending this way (not to mention the time I spent talking to all our services providers to get better deals). We review our investments quarterly. We review our credit card monthly. I believe my husband checks these things more often. It is working. It is working, we have more money in our account this month then we know what to do with lol! That’s so great to hear you’ve found a system that works well for you! That is absolutely the key–a process that’s easy, repeatable, and yields success. Glad to hear you have more $$$ than you know what to do with :)! Ah, such truth to this post! Years ago I abandoned the notion of monthly “eating out” and “spending money” allocations. We radically downshifted our eating out once we became parents. Truth be told, we just don’t miss it; a once monthly treat us now so much more appreciated. A friend asked me recently about why I’m never stressed about money. Why I never complain, don’t worry about an unemployment stretch. I told her that we as a society we are so programmed to glean happiness from spending money. Once I learned to disassociate happiness from the act of spending on random stuff, I began to more fully enjoy life, never feeling deprived. We’ve worked hard to be totally debt (and mortgage) free and build up a nice nest egg. The joy for me is security- so when income drops off I don’t panic. I’m just thankful for the work we’ve done to create a low stress financial life. Nicely stated. I too have finally re-programmed myself to not buy stuff i don’t need. Or might have to dust. Oh yeah! Love this thread, ladies! Kim, this is so spot on: “Once I learned to disassociate happiness from the act of spending on random stuff, I began to more fully enjoy life, never feeling deprived.” And Helen, I’m with you, spending doesn’t make me happy either. Rock on! Good point on stimulating the economy too. We don’t micromanage ours either. We participated in a 4 week personal finance group recently at our church. They handed us an incredibly detailed budget worksheet. Now I LOVE spreadsheets but this was WAY too complicated. I honestly don’t know how people are successful at budgeting in this complicated way. We prefer our set it and forget it approach. All our regular monthly payments and savings are on auto-pilot through our checking account. We then take our monthly surplus and make our one snowball payment to the debt we are targeting. Our remaining discretionary spend is all on a weekly budget with four categories: grocery, household, entertainment, dining out. We’ve been talking about simplifying further by combining 1) grocery with household, and 2) entertainment with dining out. Simple is best. Simple is totally best. Yeah, I’ll never understand the complicated budget spreadsheet thing–seems like a whole lot of unnecessary busywork to me. Glad to hear you’ve found a system that works well for you! I really wanted to start using Personal Capital, but when I downloaded their app I was asked to enter all my usernames and passwords to all of my bank accounts. In the wake of all of the hacks that have been happening I did not feel comfortable doing this. Any suggestions or thoughts from other users? Good question! I responded below to the longer thread on the topic. Haha, love it! Hey, whatever works for you for tracking it all is ultimately your own personal best system. How does Personal Capital compare to Mint? I’ve used Mint for years and find it very easy to use. Would be interested in hearing from someone who has used both. Thanks! I also use both! Mint is more detailed on spending and I like Personal Capital for the investment and net worth information. It’s so EASY to stay on top of your money without stressing about it with these awesome tools available. I’m not sure if I have it down to 30 minutes per month, but yeah, pretty close. Everything runs through Personal Capital so I know what we’re spending and how much income we have. I’ll try to check and see if there’s cash being lazy in some hidden account somewhere about once per month and if so, put it to work somewhere. Otherwise, autopilot works surprisingly well. Funny enough I was looking at Personal Capital this weekend… rave reviews from all my favorite personal finance bloggers… but how safe is it that ALL your accounts are linked together with this one software company? As it is, we’ve gotten letters of security breaches from retail stores (Target), cell phone companies (T-Mobile) and insurance (Blue Cross). It’s hard enough when it’s a single account at a time, but all my accounts at once? I just don’t think I can go there… Secondly, at least in our case, it doesn’t seem necessary as we have access to few similar tools with our brokerage companies and outside of those there really isn’t much complexity to our financial matters. After the initial time expensive of learning and setting up a portfolio and frugal lifestyle one shouldn’t have any reason to spend much time on reviewing their budget or investments on a frequent basis. Yes! I posted a comment above. I just couldn’t hand over all of that personal info. I don’t care how “secure” the secondary site that manages all of those passwords is, it would be a hacker’s dream. I really would love to be more aware of my financial picture, but PC just seems too risky. p.s. Would also love a more specific post on your stocks and allocations (such as “rebalancing for dummies”)! Ahh, yes, a good question! So here’s my take: for us, it’s a cost/benefit trade-off to use online banking and Personal Capital–it makes our lives so much easier that the nominal risk is worth it to us. Personal Capital only has “read access” to your accounts, so a hacker wouldn’t be able to do anything nefarious to your bank accounts via their site. At the end of the day, we’re all in much greater danger of having a credit card stolen when we make a purchase at a store than with the modern online banking system. In our experience, the increased visibility of having our accounts all in one place is more of a deterrent to having our money stolen because we notice wrong charges more quickly and can report them to our cc company immediately. And, for what it’s worth, Mr. FW is actually a software engineer who focuses on internet security in his job and he’s happy with how Personal Capital protects user information. But, you’ve gotta do what you’re comfortable with–different strokes for everyone! Let me know if I can answer any other questions. This approach vibes with me.. I hate the idea of spending a lot of time pouring over finances.. so boring.. It seems much simpler to me to wake up everyday with the expectation that you will spend $0 like you suggest. Also then it becomes a habit and as someone with zero willpower, slowly and painlessly creating habits is the only way I get anything done in life! I also am lucky to be married to someone with an aptitude for money management so it doesn’t all fall on me anyway. We spend maybe 30 minutes a month as well I pay all the bills, but about once a week we briefly review what we purchased. Altough I used to do autopay for our utility bills, I usually pay them the day they arrive. It’s my way of keeping the checkbook balanced & also knowing if we under or overbudgeted for the month for these items. That’s one of the fascinating things I’ve noticed running a PF blog. I spend a lot less time thinking about or tracking our actual money! “Money is happiest as a loner.” Love it. I always think that money management is a lot like food management. If you have a problem overeating or undereating, you will probably find it helpful to stick to a very strict diet. A friend once explained that she thought about food constantly, so the more complicated her diet plan was, the better she did at sticking to it. Her eventual goal was to be able to eat healthfully without thinking about it, but she was so far from that that she needed a lot of help to get there. I think that money works the same way. Some people are naturally mindful spenders- they spend just the amount of money they need to without depriving themselves or overspending. Others need more training to get there. Budgeting is just helpful training on the road to the eventual goal of effortless mindful spending. Well said. I think the dieting/budgeting analogy is very apt. And, it’s so true that different approaches work for different people. I think it’s all about figuring out what system will yield consistent success. I use Mint to track our expenses. It’s helpful to track our expenses and check all of our accounts. Helen- this friend was pretty receptive to my response. She’s a former coworker who knows me pretty well. Plus she’s a social worker so I think she’s better than some when it comes to listening to perspectives that are different from most! Actually she was sharing how stressed she was about money and I was just listening to her and acknowledging her worries/ feelings. That’s how it transitioned to me and my unemployment status. We use Mint to track our expenses, but I continue to be intrigued by Personal Capital based on glowing reviews on this site and others. We might give it a whirl. I love the idea of not using budgets. I have found that budgets are time consuming and actually cause us to spend MORE than we would ordinarily spend in a month. The gas reference was genius, and true! If you set a budget for a cateogory, you WILL spend until you reach the allotted budget. We have definitely saved money by ditching it. Thanks so much! Glad we can help :). You could always give Personal Capital a try and see how you like it versus Mint–I think it has some definite advantages. Amen! I sit down once a month and pay bills, agonize, and plan;0) Then, I forget about it until next month. We do pull out the cash we will need for the month and if anything is left over, we save it! Love this. Managing your money should be a very simple process. Once you set up the process you should be able to go on auto-pilot. That’s why I never understand why people say budgeting is difficult. It’s not really about budgeting, it’s about watching out your expenses and optimize them. Yeah, it wouldn’t feel right to me to sell stuff that we don’t believe in, so I’m happy to be ad free and only promote products that we actually use. I am definitely a fan of the set it and forget it philosophy with money. The more that you can automate and let things happen while you accomplish other goals, the better your money situation will be. Personal finance doesn’t need to take a lot of time if you are efficient with what you are doing. Both Mint and Personal Capital are great dashboards to use. I use both, mainly because Personal Capital doesn’t import all of my accounts. I prefer the overall data provided by Personal Capital as they show market fluctuations and an overall picture of your investments in a more intuitive way. Mint is great, however, for the ease of use. I will say that Personal Capital will contact you when you via phone at some point. You are initially ‘assigned’ a financial investor and once your portfolio reaches a certain level, they will call you. I had a nice chat with the person who called me and let him know I was using the program mostly for tracking and they have left me alone since. Personal Capital is a huge help. So is the setting it and forgetting it mentality with my index funds. I used to only invest in individual stocks and I would check their prices multiple times a day. Now, I couldn’t even tell you what my index funds are at! Much less stress, and time commitment. Even if it’s just a mental thing, index funds have been huge for me. I suppose I take a similar approach. With mr. Lewis in Law School and our expenses whittled down as much as possible the rest just sort of gets dropped into the savings bucket. I don’t think about spending too much because unless it’s a gift or an upcoming trip, we don’t spend money too much. An occasional pint of beer every few months or an ice cream treat, but we usually limit ourselves to one treat per month, excluding red box movies. When both of us are employed again, it will be quite interesting. Love this! I don’t create budgets either – because I don’t need to. I only spend money on necessities, and I have a complete spending ban on outings with friends. Have you guys ever tried boxed.com? Not sure if it’s cheaper than costco or whatever. I also know the selection is more limited, but it has some interesting stuff. WOW love Personal Capital app. Just downloaded on laptop and iPhone and set a monthly tickler to check my stats. 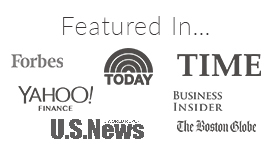 Great articles; they nudge me in the right direction both for optimizing my health and optimize my financial stability. Thanks! I love the stories on Marketplace! Hello. Please know that I enjoy your blog and applaud your lifestyle. I currently have a 401K with a major “wealth management” company. I would like to swap it over to index funds that I manage myself with low fees. I am nervous about transferring my life savings online with a couple of clicks of my computer. My goal is to do this before the end of the year. Any advice for me? I adore your dog as well as your article. You have helped me with a great tip on frugality. You would be surprised at how the frugal community helps one another. I am now a subscriber and congratulations on your new bundle of joy! I just had a consult with Personal Capital. They recommended a broad range of ETFs so everything is equally weighted with seems different from the “Our overall portfolio is weighted 90% total market index fund and 10% bonds, with the bonds being held in our 401Ks in order to maximize tax efficiency”. that you mentioned. Do you only use the free version or do the manage your account? Where in Vermont is that hiking photo? 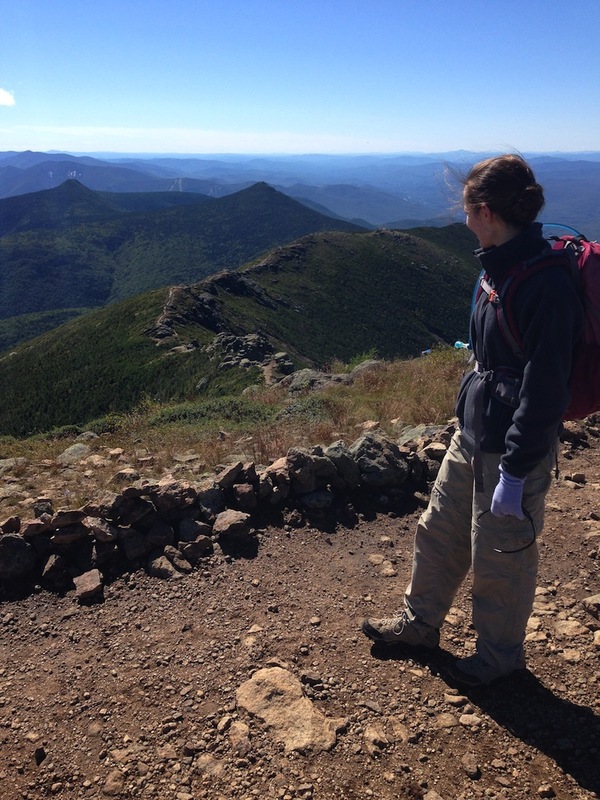 That photo is actually in New Hampshire on Franconia Ridge–one of my all time favorite hikes!